Amrita Puri (born 20 August 1983) is an Indian film actress and model who is known for her roles in the good critical and commercially successfully Bollywood films like Aisha, Blood Money and Kai Po Che! (2013). Amrita Puri was born on August 20th, 1983 in Mumbai to Aditya Puri (Father), Managing Director of HDFC Bank & Smiley Puri (Mother). 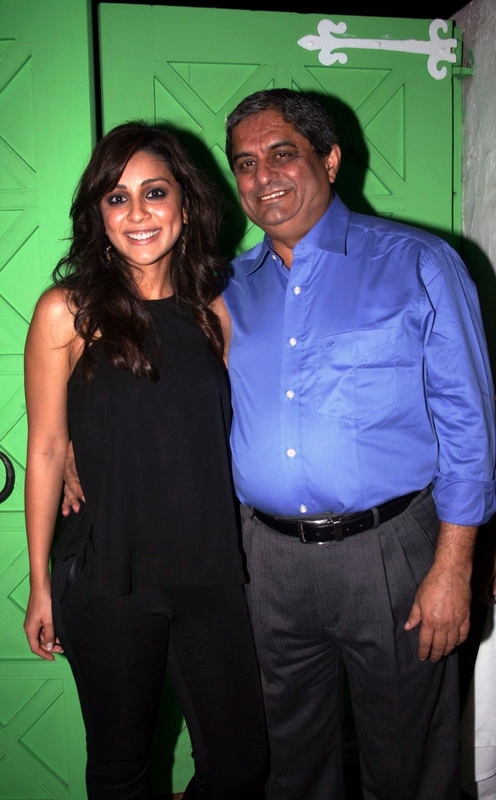 Amrita Puri have an elder brother named Amit Puri. After completing her bachelors in English literature she did a one year diploma in Social Communications media. She took up a creative writer's job with ad agency O&M. After one year at job she quit it to follow her acting dreams, but only after she was able to convince her parents who had till now opposed her to follow her acting dream. After getting her portfolio done by Dilip Bhatia, she started auditioning for movies and ad films. Soon she did her first ad for Kotex and later featured in ads and TV commercials for several brands, including People First, Garnier and L'Oreal. After auditioning for few films, she finally landed with the role of Shefali Thakur in Aisha. She gained critical and good commercial acclaim through the movie. In 2012 she appeared in Blood Money as the female lead Aarzu. It was Above Average grosser. In 2013 she appeared in Kai Po Che! as female lead Vidhya Bhatt. The film was based by Chetan Bhagat's novel The 3 Mistakes of My Life. How does it feel to be doing this movie and coming home and talking to your dad unplugged about it? Amrita Puri: It feels really good. Honestly I feel like my dad is like my manager. I call him from the set and say, "this is the scene, what do you think? Give me your feedback," and poor guy, I pull him out of meetings irrelevant of what the meeting was about, and I am sure they were important meetings, and I would say "no, I need to speak to him, please call him from the meeting" and he very sweetly comes on the phone and listens to me and then after about two minutes, he would say "okay sweetie, I was in the board meeting, so I think I need to go back." And when you saw your daughter for the first time on the screen, when everything was done, fully packaged, the big screen, I am sure it was a proud moment but what else did you feel? Aditya Puri: How should I say? There was pride, there was emotion and she did a damn good job even if she was my daughter, but I could not say because I thought people would say I am biased. But both of us -- her mother and me -- were absolutely overjoyed and very proud. Sometimes the movie script or the story, it takes you and carries you away and you often forget that the person you are seeing is really someone related to you or you know the person. Did that happen for a moment? Aditya Puri: No, we actually did not because her brother was there and I was there and we were talking and we said "this is Amrita at home", so what's new? I said "how did she act, Amit?" He said I really do not know and I said "no, what you must have some comment?" and he said, "she acted like Amrita." So I said "then, she acted beautifully." Amrita Puri: I said "are you saying that I am like a bahenji from Haryana in real life?" Aditya Puri: No, the rest of the drama. He was like "I have seen this range in the drawing room since you were 10, I have seen your full range from like comedy, drama."